Tiny Saba encompasses just 13 sq km (5 sq mi), yet it represents one of the world's top scuba diving destinations. A trip to Saba takes you to an overseas dominion of the Netherlands, which houses fewer than 2,000 permanent residents and hundreds of species of native wildlife. In addition to 200 types of fish and 60 bird species, the island shelters at least nine different kinds of wild orchids. Visitors spot these fragile flowers everywhere they go during their Saba vacation, as they grow next to hiking paths and alongside the island's main road. 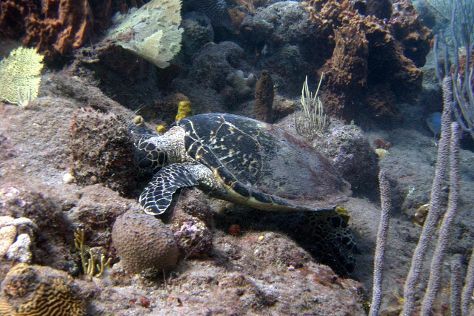 To see what treasures the surrounding waters hide, bring your diving gear and head to the nearest beach. Saba is in Caribbean. Use our Saba trip planner to arrange the details of your trip to Saba and other destinations.